One morning Pablo Neruda looked out of the window and spotted a chunk of driftwood being tossed about in the Pacific Ocean. He walked down to the beach behind his home, Casa de Isla Negra, and waited patiently for the surf to carry it to the shore. This “present from the sea” was turned into the desk on which many of the poems that earned him the 1971 Nobel Prize were written. Today, Casa de Isla Negra has the feel of a treasure trove. An inveterate hoarder, Neruda crammed the place with bric-a-brac, trinkets, kitsch collectables and bits of junk that he had picked up on his travels – including coloured glasses, seashells, Hindu carvings, a full-size model horse, African masks, and ships in bottles. The house perfectly sums up Neruda’s tangle of contradictions, and offers as good an insight into the man as any of his poems. He was fascinated by the sea – Casa de Isla Negra was built to resemble a ship, with narrow hallways, porthole-like windows and low ceilings – but could not swim, and rarely ventured onto a real ship. Similarly, he loved to collect musical instruments, but was unable to play any of them. On September 23, 1973, Neruda died of cancer, two weeks after the coup that claimed the life of his great friend, and the elected President of Chile, Salvador Allende. 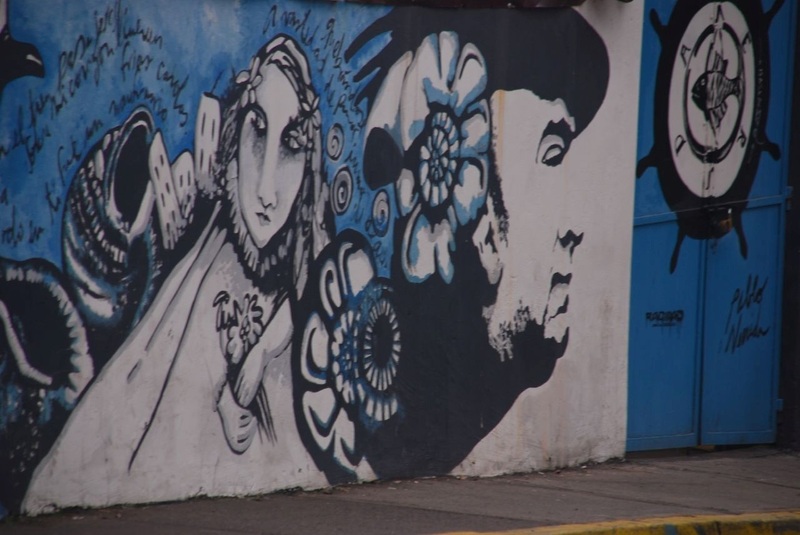 Alongside his poetry, Casa de Isla Negra survives as lasting tribute to a man considered Chile’s, and arguably South America’s, greatest poet.